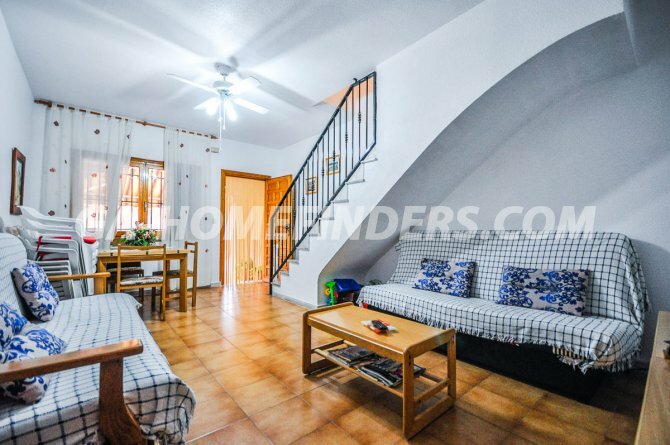 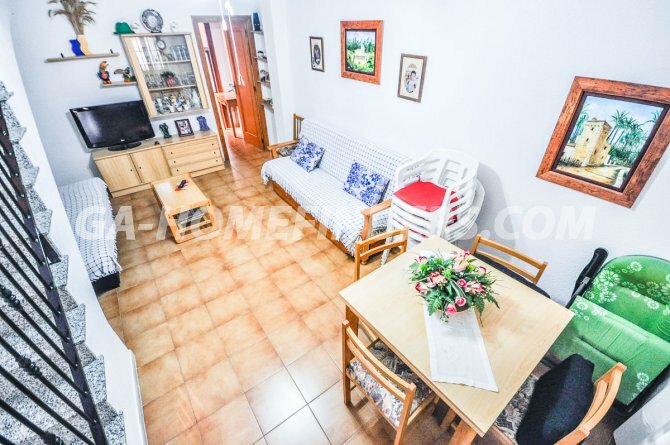 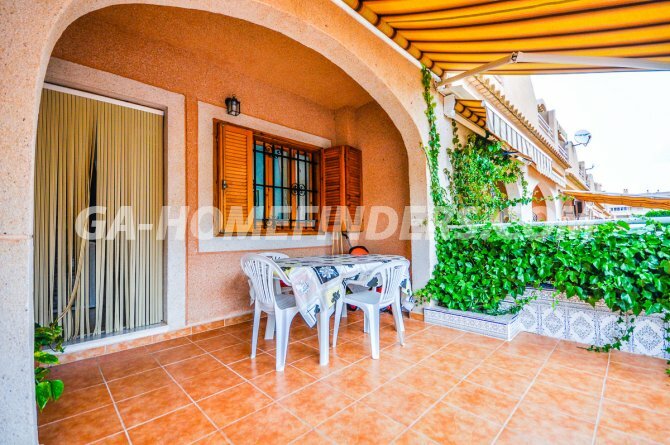 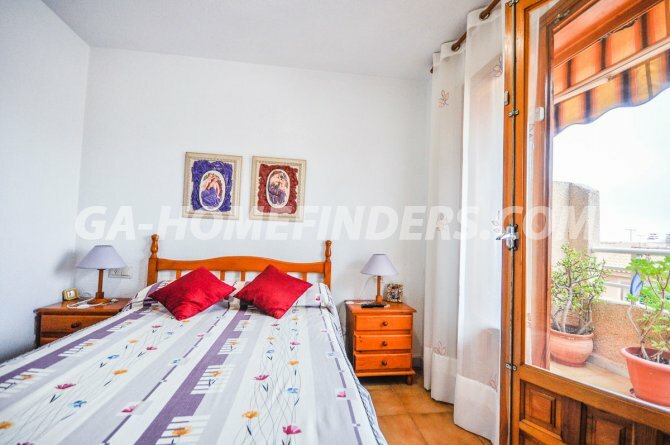 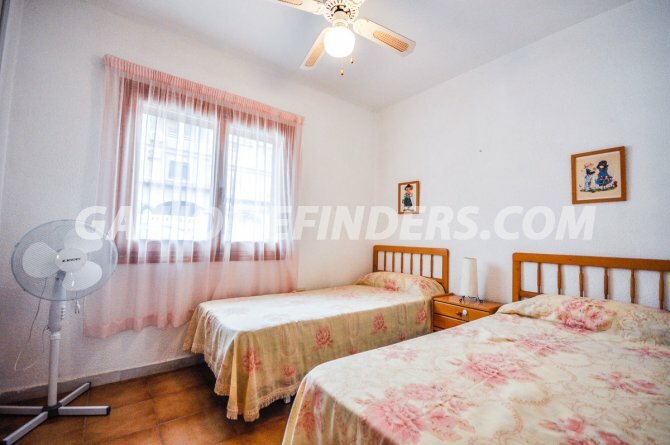 Furnished Townhouse , has 3 bedrooms and 2 bathrooms. 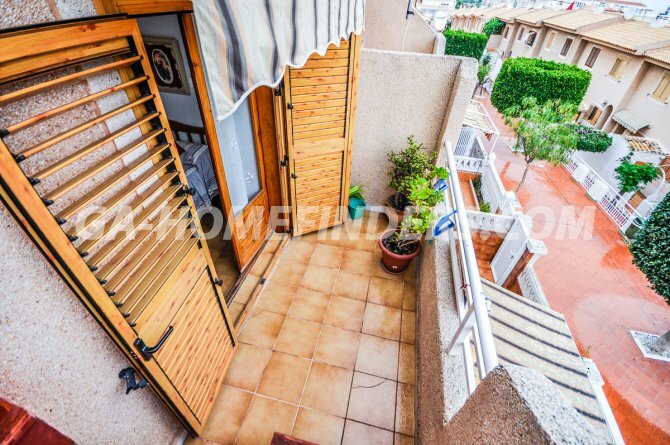 At the entrance of the house has a large terrace with awning and the windows have shutters and grills . 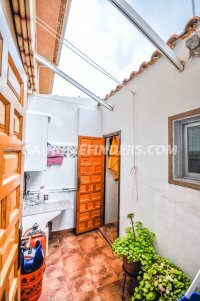 On the ground floor has the living room, kitchen with appliances with covered gallery with awning, bathroom and a room. 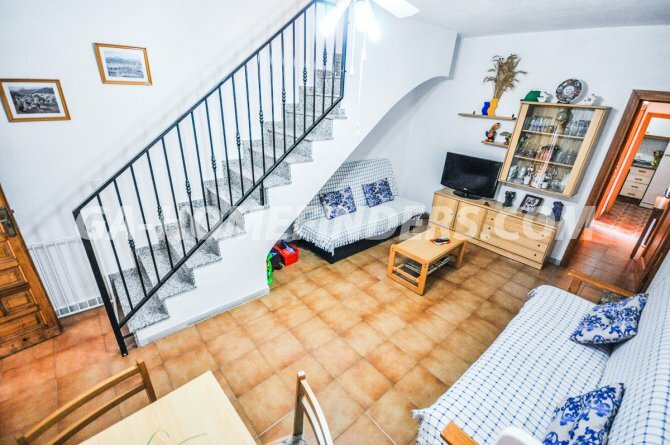 On the upper floor there are two bedrooms with fitted wardrobes and a bathroom. 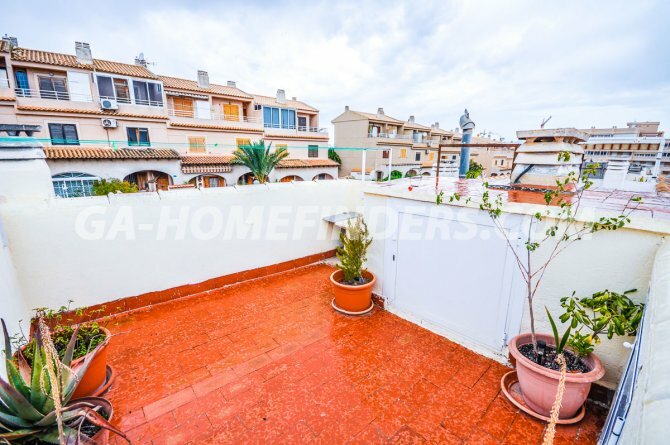 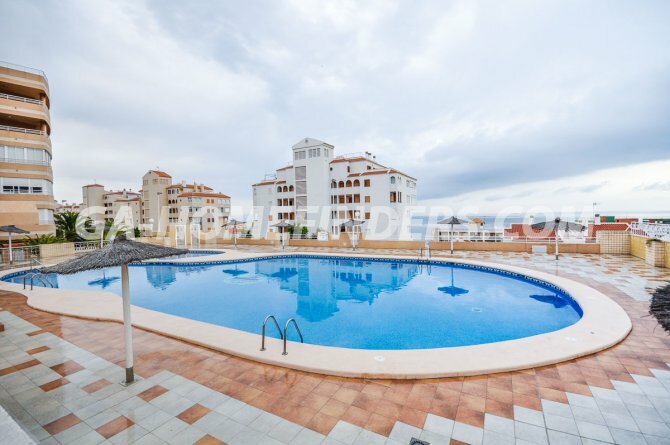 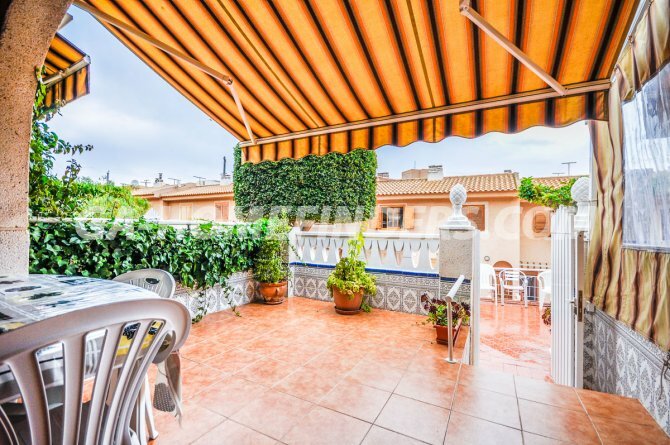 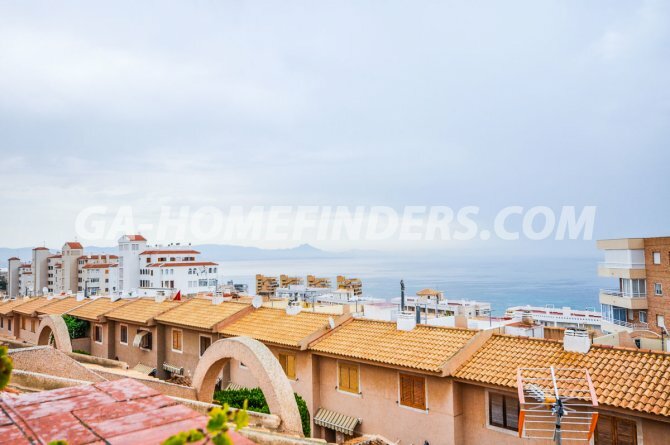 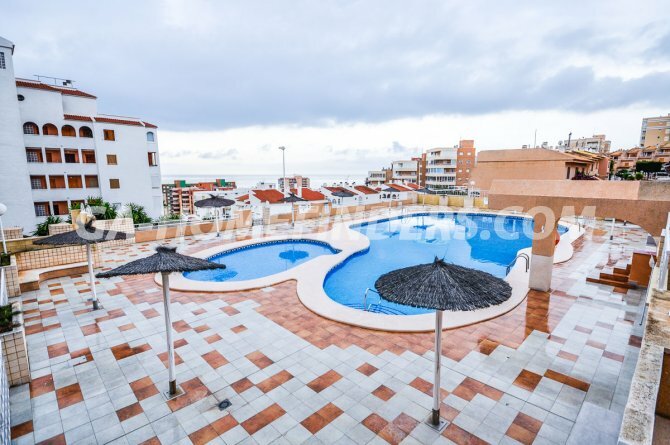 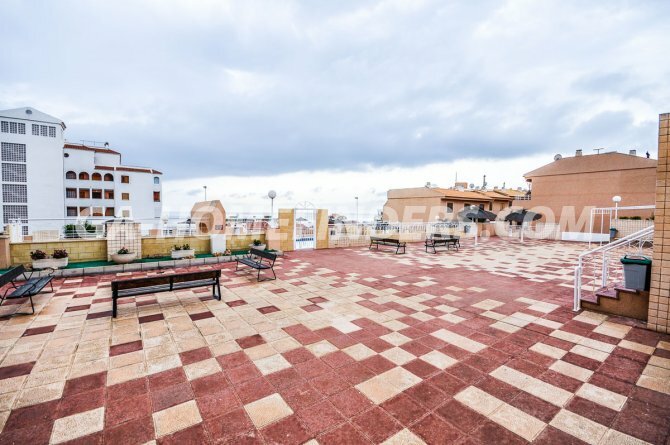 It has a balcony and a large solarium where you have wonderful views of the sea. 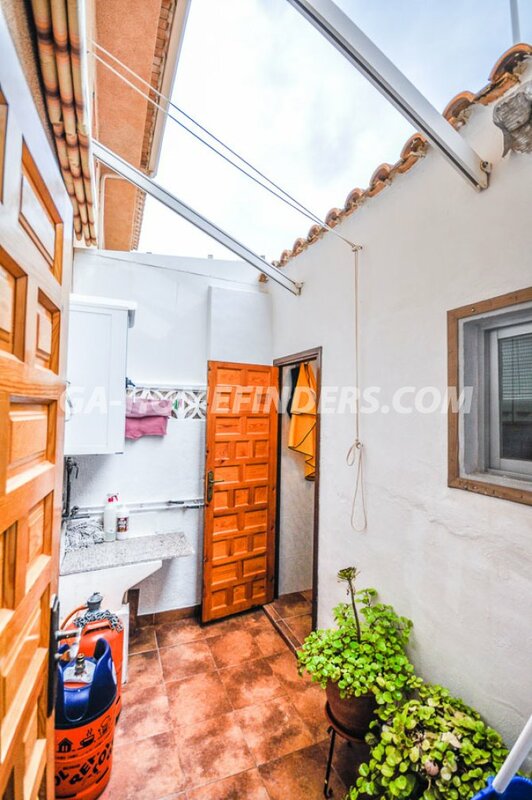 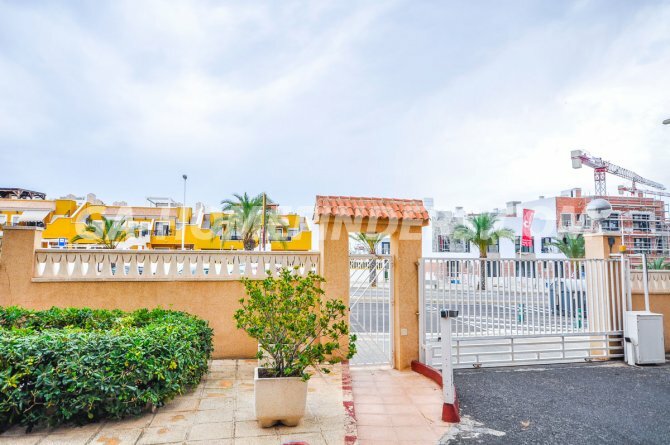 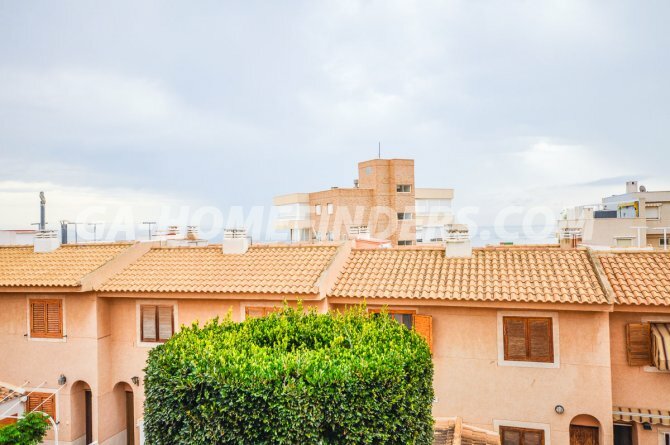 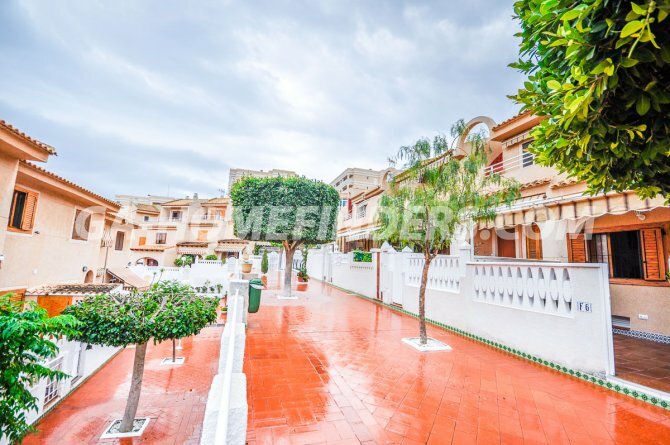 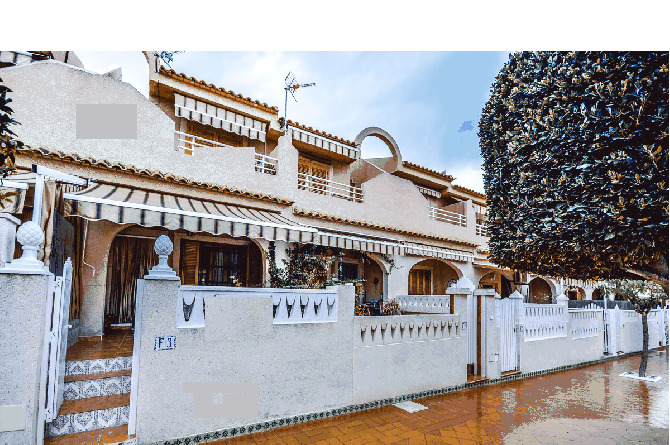 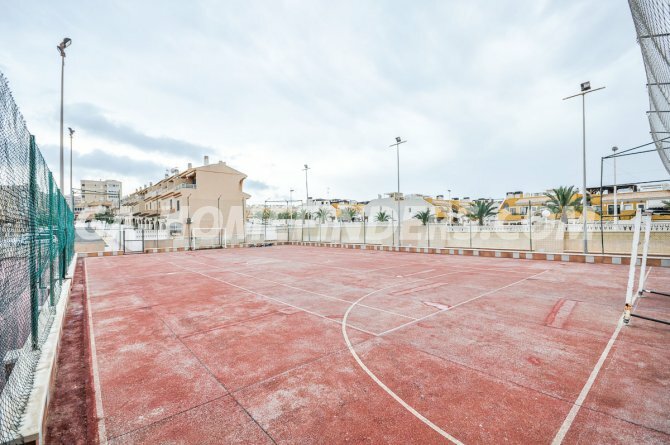 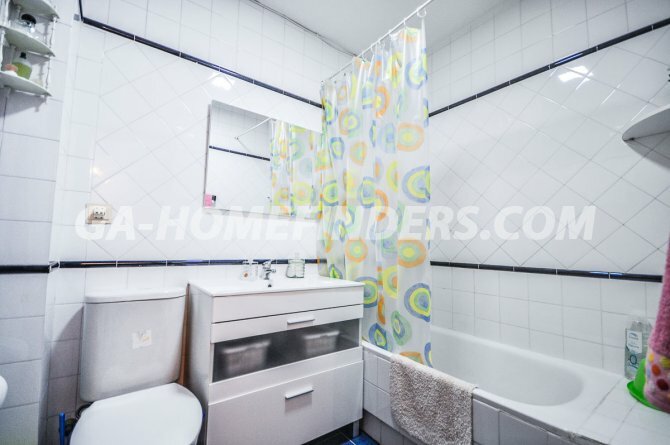 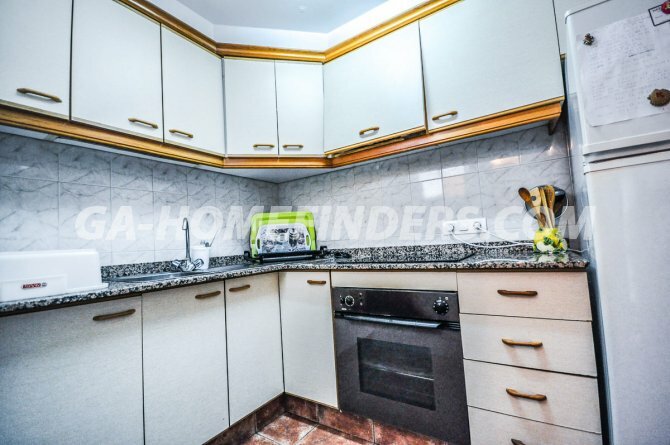 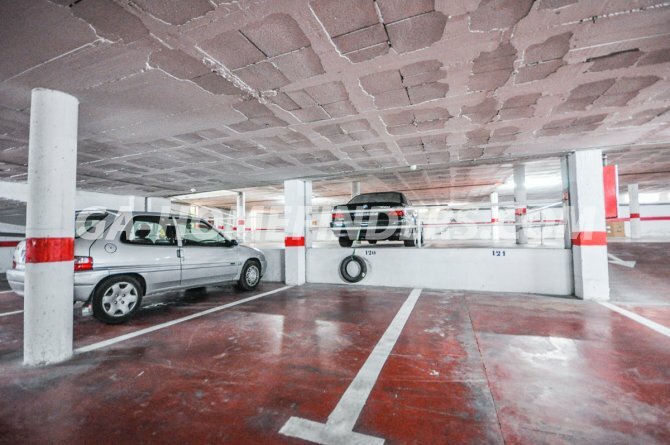 The house is located in Arenales del Sol in a gated community, where it has common areas such as tennis court, children's area and has two community pools, also has a private parking space.